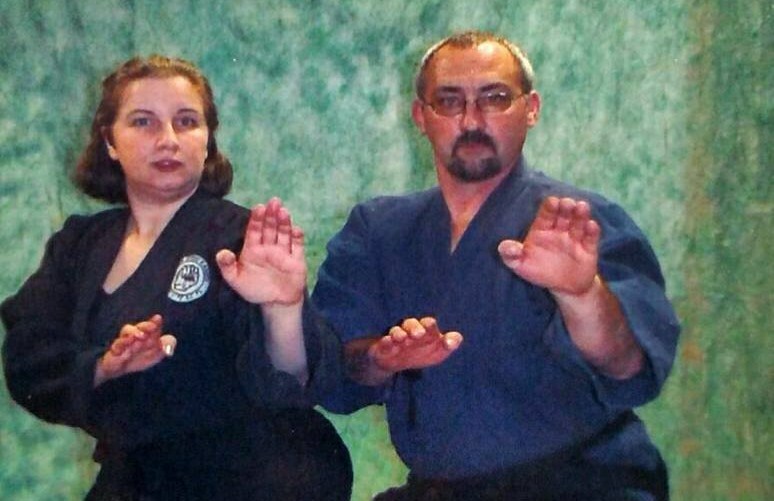 Black’s School of Martial Arts, run by Master Clair Black (above, right) and Master Karen Black, has expanded its class schedule heading into 2017. The new schedule (bottom of article) is already in place and registration is being accepted for new. continuing, and returning students. 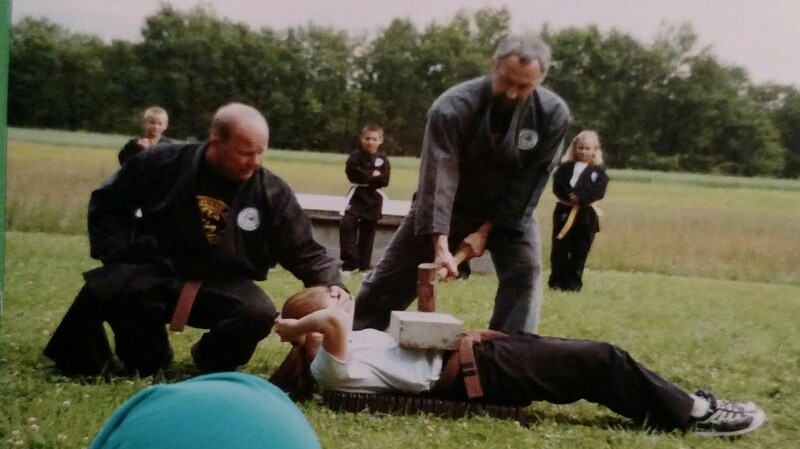 Black’s School of Martial Arts has been located in Dushore since 1978. 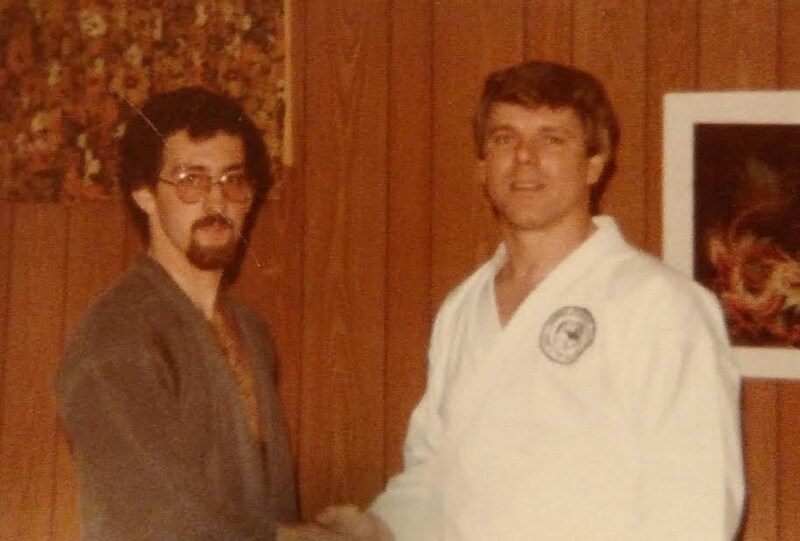 It was started by Master Clair Black after he earned his first Degree Black Belt in 1977 (below) from Instructor Joe Brague of Goshin Jutsu Karate Association of Williamsport. 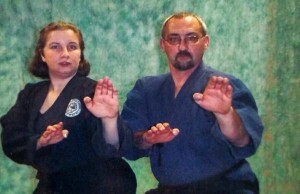 Goshin Jutsu Karate was brought to the United States by Grand Master Gerald Durant in the late 1960s. He passed away in 1991. A karate system can have only one grand master at a time. Upon the Grand Master’s death, another master is bequeathed the rank of 10th Dan in his will. The highest attainable rank is 9th Degree Black Belt Masters Rank. Clair first met Karen at a karate class in Williamsport in 1979 while she was attending Lycoming College. They were married in 1982. 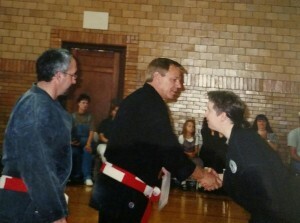 Karen earned her first Degree Black Belt in 1987. Clair attained the rank of Master in 1987 and now carries his current rank of 9th Degree Black Belt. Karen achieved her Masters rank in 1999 (below) Her current rank is 6th Degree Black Belt. Karen joined Clair in teaching and, together, they have instructed more than 450 students. 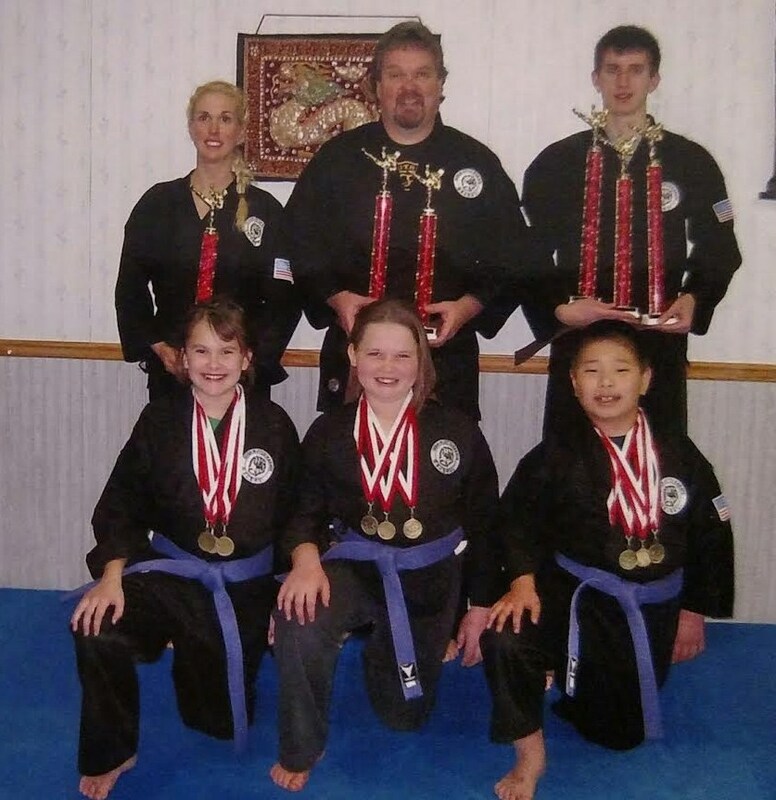 Many of their students (below) have gone on to capture state titles at the Keystone Games each year and, collectively, have won an mountain of trophies at competitions over the years. Besides basic martial arts skills like self-defense and sparring, the Blacks teach weaponry, forms and meditation and have developed classes for flexibility and core strength that can be taken by anyone, regardless of physical limitations. As opioid use, robbery, and home invasions have become more frequent, questions of personal safety are coming to the forefront, she explains. Blacks School of Martial Arts is meeting the challenge head-on. The Blacks’ mission is to bring confidence and self-awareness to those who are in harm’s way and to help people feel less afraid. Black’s School of Martial Arts accepts students from 5 years of age and up and also has students who begin in their 50s or 60s who have achieved their black belts. “Its always a terrific mix of ages and genders, which helps the young and old alike understand and interact with everyone politely and with honor,” says Karen. Advanced classes are on Wednesdays from 7 to 8:30 pm. Master Karen teaches Women’s Wellness classes on Tuesdays from 6:30 to 7:30 pm. On Wednesdays, from 4:30 to 5:30 pm, she teaches stretching, balance exercises, and self-defense. For more information and to register for classes, interested readers may call 570-928-8872 or send an email to suzuka928@gmail.com.